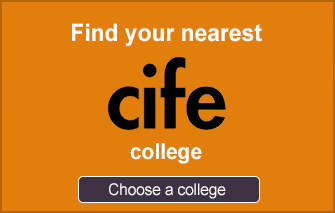 Home » Advice » Articles » How much will university cost me? This article, written in 2017, tells you how much going to university will cost. It describes the tuition fees you have to pay, how much accommodation is likely to cost you, other living expenses to allow for and some tips on saving money. It explains how Bursaries and Student Loans can help you pay for it all, and concludes with advice on budgeting. How much will going to university cost me? The government’s new Teaching Excellence Framework means that universities in England can charge up to £9,250 per year for tuition to home and EU students. 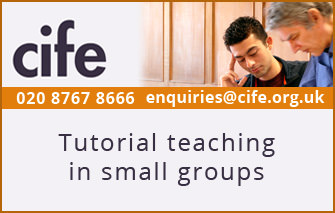 For a three-year course, students can therefore expect to pay around £27,750 for their teaching. It is also worth noting that students on a sandwich course, for example on a year abroad or work placement, will often still be expected to pay some of their tuition fees during this year away. The amount varies from institution to institution but will often be around half of the full fee. The fees for non-EU international students do not have a set upper limit and the costs will be prohibitive for many: the University of Cambridge, for example, charges up to £50,130 per year to non-EU undergraduates. Paying rent is one of the biggest living costs that most university students will face. The majority opt to live in university halls of residence during their first year. Living in halls is a good way to get to know other undergraduates and it can ease the transition from home: bills are included; there are staff on hand in case of any problems; and there are often catered options for students still perfecting their culinary skills. The table below provides more information regarding the costs of halls of residence, which can vary considerably. Contracts are almost always for term-time only although it is sometimes possible to pay extra to keep a room over the Christmas or Easter holidays. The majority of students will move into privately rented accommodation for their second year onwards. As a general rule, students will find that they get more for their money in the north of England than the south. Average rental in the north east is £549 per month for a three-bedroom property as opposed to £1,025 in the south east and £1,800 in London. Once ‘living out’, students will also need to pay bills which are on average around £30 per person per month for electricity and gas in a three-bedroom shared house (based on Ofgem typical domestic consumption values) and £10 per month for water. Being mindful of energy use can help to reduce costs, for example putting on a jumper rather than the heating, washing up instead of using a dishwasher and having a shower instead of a bath. Grocery shopping will vary between individuals. As an approximate average (based on the Student Living Index 2016), students should expect to spend about £30 per week on food and toiletries. Again, being thoughtful about spending will help to keep costs down. Taking packed lunch is cheaper than buying a meal out, shopping in the evening can help students find bargains in the reduced section of supermarkets and sticking to a weekly meal plan rather than buying food every day will all help. Socialising can be an expensive business and, like rent, the further south you are the more you are likely to pay. The average cost of a pint of beer in Yorkshire is £3.15 whereas in London it is nearly £4. Luckily, businesses in university cities are aware of student limitations and there will always be promotional discounts available so shopping around can save money. Going out for dinner will cost around £30 per person although it is always possible to find a mid-week ‘two for one’ offer or similar. A night out can be about the same although, again, nightclubs will often not charge an entry fee on a weeknight and will sometimes offer student discounts. Being a student does have its advantages and there are hundreds of businesses who will offer a financial helping hand to those in full time education. Getting an NUS card can be a great investment as flashing this will get you a range of discounts including 10% off at the Co-op and 40% off at Pizza Express. In London, students can save 30% on transport costs by applying for a student Oyster card. There are similar discounts available elsewhere: First Group, for example, offer student tickets on bus services they run in many cities in England. Banks are always keen to persuade students to join them. Most will provide an interest-free overdraft to students for the duration of their course and there are often promotional offers given to students who sign up. The Santander 1-2-3 student account comes with a free four-year railcard while NatWest and RBS give students a coachcard for National Express. If you do not receive a rail or coach card for free upon opening a bank account then it might be worth investing in one. A 16-24 railcard costs £30 for a year and will save students a third on rail fares. A young persons coachcard will save you the same for £10 per year. A loan is money that you have borrowed that you will be required to pay back (with interest) whereas a bursary or a grant does not need to be repaid. In England, new full-time students can take out a loan for tuition fees, which will be paid to the university directly on your behalf for the duration of your course. There's also a maintenance loan to help with living costs. For students living away from home in 2017/2018 this will be £8,430 per year for those studying outside of London, and £11,002 in London. Once students have graduated and are earning £21,000 or more, they will need to start paying back both their tuition fee and maintenance loans. In some instances, additional financial support is available to supplement these loans. There are bursaries available to students training to be teachers, social workers or medical professionals, regardless of personal background. 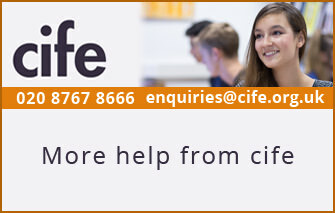 There is also additional financial support available for students in particular circumstances, for example those who are disabled or who have dependents, regardless of course choice. 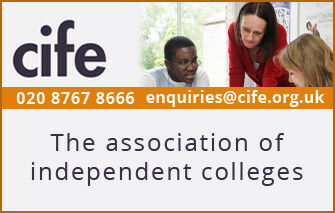 The government’s student finance calculator can help you determine whether you qualify. Are there other sources of finance? 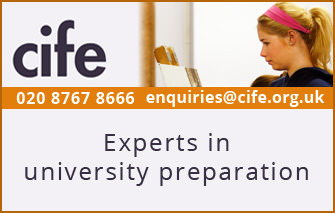 Yes, some: see our advice article on financial help at university. Studying for a degree is a serious financial commitment but it is a feasible one for most. In addition to using their maintenance loan to live on, most students work during their course. Some students work part-time around their studies (although it is preferable to avoid this if possible) and most will work in the university holidays, particularly over the summer vacation which is at least three months long. Budgeting will help students to make the most of the money they have. Although it is difficult to budget accurately a year in advance, there are some predictable costs such as rent and bills to be considered and students can make reasonable estimates at the likely costs of other outgoings. It is a good idea to list incoming revenue against likely outgoings to give you an idea of how much money you will need to live on per week and then try to stick to this budget as much as possible. The table below gives an example budget for a student. Make a similar one for yourself. Committing to three or more years at university can be a daunting prospect both personally and financially. With some planning, however, it is possible to live well within a limited budget and research into graduate incomes shows that on average, graduates earn £12,000 per year more than those who do not have a degree. Although the prospect of planning to spend £60,000 on obtaining a degree (and probably accruing £55,000 of student debt in the process) is unappealing, over the course of your career you will more than make up for it. 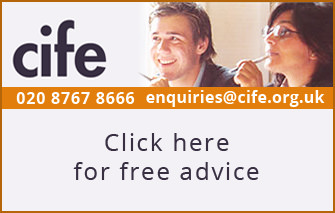 This student advice article was written by Jo Carter of MPW College London. GAP year after A level ?